With its traditional Winter Meet opener fast approaching on Wednesday, Dec. 26, Santa Anita Park has announced substantial purse increases for all of its overnight races, with some categories getting as much as an 11 percent boost when compared to purse levels at the track's recently concluded Autumn Meet. Santa Anita's Winter Meet Condition Book One will be available to horsemen at santaanita.com on Tuesday, with hard copies available in the Racing Office this Wednesday, Dec. 5. This adjustment has been made to entice more European and out of state horses to participate. 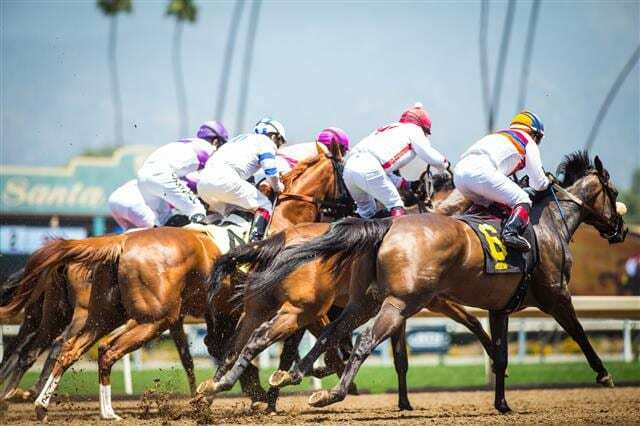 Additionally, for the first time ever, horses that win first condition allowance races at Golden Gate Fields will now be exempted and be eligible to run again at the same non-winner's level at Santa Anita, which will hopefully serve as an incentive to Bay Area horsemen to ship south for substantially more money. For additional information regarding Santa Anita's 2018-19 Winter Meet, please visit santaanita.com, or contact Santa Anita Racing Director Dan Eidson at (626) 574-6352. This entry was posted in NL List, The Biz and tagged Dan Eidson, field size, Horse Racing, P.J. Campo, purse increase, santa anita, santa anita park, The Stronach Group, winter meet by Mike Willman/Santa Anita. Bookmark the permalink.